Kindergarten & Preschool for Parents & Teachers: What's the Weather Got to Do with It? There is no bad weather – just inappropriate clothing. I don’t know who first said this, but I think of these words when it is cold, rainy, stormy, windy or even seems too dark to venture outside. We’ve stocked up on warm clothing and flashlights and feel ready for almost any kind of weather. 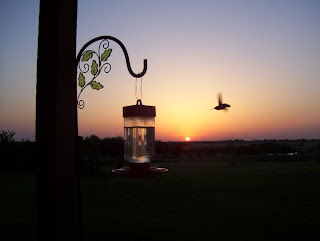 I was raised in a small Kansas town with two brothers and two sisters. My mother pushed encouraged us to play outside in all kinds of weather. Of course, we knew to come home if there was lightning, or if tornado sirens went off, but other than that, we never worried about being too cold or hot. We stayed active outdoors and our bodies became used to the four seasons weather. Children need to exercise and spend time in nature. It is being highly encouraged for children to Go Outside and Play - an Hour a Day. Here are some examples of having fun outdoors, enjoying nature, helping with family projects, or making neighborhood friends in various weather conditions while building muscles and the body’s immune system. We are trying to restore a pond on our property. The land was a cow pasture before we built a house on it and this pond was dug out for the cows to have water. Unfortunately, it does not hold water through a Texas summer drought. Our grand-children helped us clean out the pond of little trees, large rocks, and various plants but we didn’t get the clay/dirt mixture packed down to prevent leakage before the rains came again. We’ll pack it this summer, stock it with some catfish and put in a solar panel filtering system. Right now it is perfect for throwing rocks, observing gravity and watching critters swim away from the ripples. Of course, common sense is needed when it is storming. One doesn’t go outside if there is lightning or extremely windy, but the rain offers some fun play such as splashing in mud puddles, holding an umbrella while listening to the pitter-patter of raindrops. and feeling the drops on one’s face. Making mud pies can develop into a lavish imaginative party for a young child although I do not recommend eating any worms and slugs you might find. Rolly Pollies are also fun to find and are abundant under wet rocks. If it is raining too hard, find indoor activities. I bought Window Writer Paint for $.83 cents, or 75% off, several weeks ago at Joanne’s Crafts. My daughter enjoyed painting the windows. We left it on for several days, then Sarah helped clean it off, leaving a sparkling view of the outdoors. Sarah also painted a sun catcher that rainy day. It says “Girls Rule.” Of course, we know that already, but it’s a pretty reminder. I remember one day when I was teaching kindergarten, a teacher yelled, “It’s snowing! Take the kids outside. It might be gone by the time school is out.” I immediately agreed and we all took a spontaneous recess after putting on coats and hats. The children stuck out their tongues and felt the coldness and mushiness of snow. No one complained that they were cold. In fact, the children ran around so much that I doubt that they felt, or cared about the freezing temperature. It was exciting and lead to impromptu reading of The Snowy Day by Ezra Jack Keats then guided writing and creative drawing. Teachers: Always have extra coats and hats in your classroom for children whose parents have not watched the weather report. Some of my favorite childhood memories are of sledding down a neighbor’s hill. Never mind that we landed in the street. There wasn’t that much traffic on our street when it snowed and people knew to “Watch out for the Dulin kids!” It doesn’t snow often enough in Texas for me, so when it does, we go outside and experience the weather, sliding on ice, making snowmen, and pulling each other on sleds. I am fortunate that some of my grandchildren live next door. They are always willing to venture outside and play. We live on a “rolling hills" terrain in Texas and have had wind gusts up to 75 miles an hour! I could not believe how difficult it was to walk in the wind in the country. One has to extend your arms and legs to maintain balance and push your body to move forward. Interesting and muscle building. Wind can be fun to play with such as making chimes out of cans and nails or bells, flying kites, and blowing on wind spinners. Fluffy looks like he'd enjoy a breeze. One of my favorite photos Katie from Mommy with Selective Memory has shared with me is of rocks in her daughter's bike basket that Little Buddy picked up on a walk. It took a long time for Buddy to pick up this many rocks but the family enjoyed a relaxing and free adventure, Buddy was proud of his accomplishment, and he built up muscles during the process. Later, the rocks were used for exploring math concepts including one-on-one correspondence, sorting, and patterning. Swim, fish, garden, ride a bike, roller skate, throw balls, play badminton, play hide-and-seek, tag, jump rope, run races, play with hula hoops, play basketball or softball, throw Frisbees, scavenger or treasure hunt, hike, go on a picnic, play at the park, visit the zoo, throw some French fries to the birds at a fast-food restaurant that has an outdoor playground, or visit a lake throwing bread crumbs feeding ducks, fish or turtles. (The above photo was taken last summer during the Texas triple digit/drought weather; the yellow Bermuda grass survived and is now green again). Playing in various kinds of weather will build lasting memories of a fun healthy childhood. Taking nature walks or playing at the park will help you relax and remind you of what is important in life. For me it is Faith, Family and Friends. Here comes the sun. What will you learn today by taking an adventure with children? For a glimpse into Kindergarten see my book. Would you like inexpensive ideas, activities, and games to teach your child through play? Mommy with Selective Memory and I can help save your sanity, one project at a time, with The Happy Mommy Handbook: The Ultimate How-to Guide on Keeping Your Toddlers and Preschoolers Busy, Out of Trouble and Motivated to Learn. Both have been no. 1 bestsellers on Amazon. This post is part of a Blog Hop sponsored by dozens of wonderful blogs. Please take a minute to visit some of these sites full of activities and experiments for kids to do regarding weather. Feel free to link up your own post and join the party! 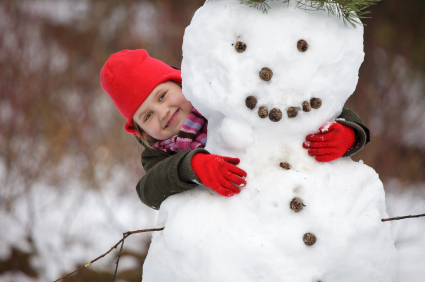 What a comprehensive post about weather and kids- I love the pic of the snowman hug. And the rocks in the trike- that is quite an accomplishment! A lovely post. My daughters love to play in the rain and thankfully aren't fussed getting wet. I think they like the flip-side too - a warm bath and a hot chocolate!! Thank you for your comments. So glad you liked the post and enjoy being outdoors. Sure feels nice to get warm inside after some of those excursions - or to soak in the tub - young or old. Thanks for visiting! What a wonderful post!! I know we try to get out no matter what the weather and so do the classes at my daughter's school. Thank you so much for sharing at Sharing Saturday! I hope you will share with us again this week! Kierna - Thank you so much for visiting. I'll be back to your linky sometime. INCREDIBLE THINKING!! You did really making sense. This is very nice artical i really like this and please keep posting such a nice type o info. good thinking. great ideas. I think you did give better ideas. This is nice post i really like it. This is useful info for me.. I always ind this type of article because i need to read this type of article. Amazing post i really like this and please post such a nice type o articles. Sondex is a company specialized in development, production and global marketing of Plate Heat Exchangers and Freshwater Generators for a long number of segments as industrial, food, dairy, hygienic, refrigeration and marine applications. Since 1984, Sondex has emphasized real time commitment to global expansion and leadership in the plate heat exchanger market. Sondex increasing power is felt across the world with a network of sister companies punctuating important cities in USA, Australia, Romania, Far east, Middle east, Poland, Netherlands, Italy and Germany. Sondex products comprises of revolutionary heat exchangers with capacity of up to 9000 tones per unit. Sondex heat exchangers are designed and built according to high quality standards and flawless performance, backed by years of efficient and reliable services. We work closely with consultants, contractors, and owners to ensure that our products are customized to fit predetermined expectations and uncompromising performance specification. Event management ranges across areas as diverse as sport, leisure, design (set, lighting, multimedia), sound, theatre, dance, music, project management, financial management, leadership, human resource management, logistics management, public relations and communication. Event Management is aimed at producing event management professionals for employment in the event management industry and related sectors. Events are diverse and can range from small private functions to large scale festivals, sports tournaments, concerts of all genre, carnivals and international mega-events such as the Olympic Games. All events have to be planned, organised and managed in a disciplined and informed manner. A highlight in your third and final year of study is the Co-operative Education placement which is a semester-long placement in an organisation related to event management.You learn in the workplace while undertaking a related programme of study. You will apply classroom theory to real situations and challenges. Projects you can undertake include competitor analysis, social media networking and promotion, event planning and execution, post-event evaluation, event design and marketing. Career oppurtunities are Advertising, Conference organisers, Entertainment industry, Event employees in local authorities, Event manager/assistant manager, Event marketing, Festival management, PR and communications, Sport, recreation and leisure, Trade shows. Setting up a company is one of the most important part to start a business and especially in Singapore which is strategically located in the heart of Asia Pacific. Singapore is one of the best choice to start a new business in the excellent business location with social infrastructure, political stability and favorable economic ties with world economies. Singapore is one of the top and best place to start a company. A lens cap keeper can protect your camera lens. All that you have to do is learn about it how it works. You will be surprised how functional this creative solution is. You will certainly be amazed how functional this creative solution is.You need the cap to keep the lens protected from scratching and from different kinds of harmful environmental effects. However, the cap can easily get lost when you are using the camera. This can happen easily, especially if you are totally focused on catching the moment for the perfect picture and absorbed in taking pictures for hours. A lens cap keeper can save you a lot of hassle and ensure the protection of your camera lens. Learn what its design is and how it works. You will certainly be amazed how functional this creative solution is. You need the cap to keep the lens protected from scratching and from different kinds of harmful environmental effects. However, the cap can easily get lost when you are using the camera. This can happen easily, especially if you are totally focused on catching the moment for the perfect picture and absorbed in taking pictures for hours. The lens cap keeper allows you to keep the camera and the lens cap together. How does it achieve this? The keeper consists of a disc the back side of which is covered with adhesive. The front side is connected to an elastic loop via a thin elastic strap. You simply attach the adhesive-backed disc to the lens cap while the loop goes over the lens barrel. That way, when you remove the cap, it will virtually hang under the lens barrel. The string is relatively short so the cap will not interfere with your activity when you are taking pictures. The loop that goes around the barrel will not affect your ability to focus the lens. It will stay at the back side of the barrel right next to the main body of the camera. Once you are done with this task, you can readily put the cap back. The lens cap keeper can be the most useful camera accessory you have ever got. However, you have to choose the right item in order to get the best results. It is important for the back side of the disc to be covered with powerful adhesive that will not dry out quickly. If you have a heavier lens cap, you may want to try out the product to see whether it will work. The loop of the lens cap keeper should fit the lens barrel perfectly. It is best to get a product with a smaller elastic loop to ensure that it will not be too loose when going over the barrel. It is essential for the loop to be tight. Otherwise, it may move around the barrel and interfere with picture taking. It may fall off the barrel. In this case, you might lose the cap together with the keeper. Generally, most models have loops designed to fit all standard camera lens barrels. However, you should consider testing the item just to be on the safe side. Prize bond forum is one of the best place to get / share your thoughts with other users, we aim to build a community on our site so that each and every one can take benefits of its. Real Estate in Arlington is one of the best location to call home due to its beautiful location between Dallas and Fort Worth, in the DFW Metroplex. Arlington real estate is very popular among other US states due to its location and historical importance Arlington also known as the home of educated people. Also the Arlington job rate is about twenty percent of jobs in Northern Virginia. Dwellus group providing the real estate services in Arlington since many years, they deal and known as best property dealer in Arlington. Junk one Call is providing Rubbish removal services from your home , office and from your garden. We are providing the best services in the London, UK. We have experienced and expert workers who clean your place effectively and make a healthy environment for you and your family. We work on all small and big establishments starting from medical departments, nursing homes, factories and flats. If you need to check your and your companion or love mate compatibility then horoscope love compatibility is one of the best way to check the love compatibility online. MyLoveCal.com made the process so simple so everyone can easily find and check the horoscope compatibility online by simply giving name and date of birth and get the detailed results. This way you can easily calculate your love with horoscopes.